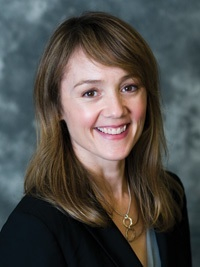 Dr. Jennifer M. Hazen has spent the past 12 years working on security issues in Africa. Her research focuses on armed groups, intrastate conflict, transnational threats, and post-conflict peacebuilding. Dr. Hazen has served as a Research Fellow at the University of Texas at Austin and at the Center on Conflict, Development and Peacebuilding in Geneva. She has also worked as a Senior Researcher at the Small Arms Survey, a Political Affairs Officer at the UN peacekeeping mission in Sierra Leone, and as an Analyst with International Crisis Group. She has taught at the University of Texas at Austin and Georgetown University. She received her PhD from Georgetown University. What are the main themes of the book? 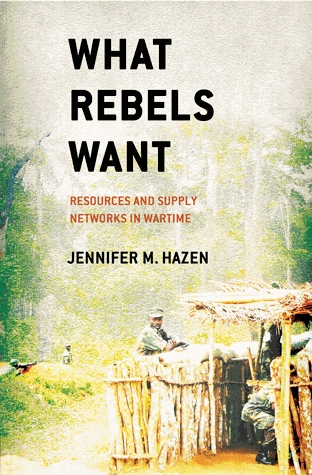 “What Rebels Want – Resources and Supply Networks in Wartime” highlights a number of themes. First, it challenges a number of common assumptions in the literature about conflict and about rebel group capacity. Second, it details a framework for understanding rebel group capacity to wage war, and how rebel groups create and maintain (or lose) this capacity. Third, it focuses on what this means for the possibility of conflict termination, and in particular, the factors that influence a rebel group’s decision to continue fighting or seek peace. What are the central questions of the book? The main question that inspired “What Rebels Want” was why it seemed so difficult to end civil wars. The standard answers seemed inadequate. Instead of focusing on the typical greed and grievance debates of the 1990s, or focusing on power sharing and elections, which are common approaches by the international community, I looked more closely at the armed actors themselves, and in particular the rebel groups. As such, “What Rebels Want” focuses on how rebel groups operate, how they access what they need to continue fighting, and most importantly, what influences their decisions to choose war or peace. How have you sought to answer these questions? “What Rebels Want” is based on detailed case studies of the rebel groups that fought the civil wars in Sierra Leone (1991-2002), Liberia (1999-2003) and Côte d’Ivoire (2002-2011). It is a qualitative study based on primary research in all three countries, dozens of interviews, as well as secondary literature. The case studies trace the evolution of these groups over the course of their wars, identifying their support networks, analyzing the ebb and flow of their access to war resources, as well as how these fluctuations affected their options and their preferences during wartime. What are the main findings of your book? “What Rebels Want” focuses on understanding rebel groups, their options in war, and their preferences for war or peace. The case studies underscore that rebel groups are not always able to access what they need when they need it. They highlight the ebb and flow of conflicts over time, and the need to consider the evolution of wars as well as the evolution of the groups fighting them. The groups that are most successful are those who can adapt to changing circumstances and build enduring support networks. For groups that can achieve this, war is always a more enticing option than peace. What does the book contribute to existing literature in the field? “What Rebels Want” challenges common assumptions in the literature about the costs of war, the capacity of rebel groups, the ease of access to resources, the fungibility of resources, and the factors that influence decisions about war and peace. The book further offers a framework for thinking about the resources, options and preferences of rebel groups during war. Finally, “What Rebels Want” provides insights into possibilities for conflict management, and reasons why current efforts are often ineffective. How does the book relate to your own (personal/professional) background? “What Rebels Want” is closely related to the research I have conducted over the past 15 years on armed groups, conflict, and war termination. I have endeavoured to maintain one foot in the research world, and one in the policy world. At times this is difficult, and can provoke adverse reactions from both worlds, but it is the place where researchers can influence policy. “What Rebels Want” builds on my strengths as a researcher to contribute solid findings and recommendations to the policy world. What further research into the book’s themes would you suggest? There is still a great deal of research to be done on armed actors, peace processes, and both conflict prevention and conflict management. We know more now than we did in the 1990s. Some of the gaps I identify in “What Rebels Want” are slowly being filled. Yet there are still some common assumptions that need to be challenged. We need to do a better job of studying armed actors, their behaviours, their organizations, and their access to resources. I would also like to see more work done on the political will of international actors. “What Rebels Want” highlights areas where international actors could have more impact on conflict dynamics, but simply fail to act because they lack the will to expend resources, or in some instances, they expend resources but know very little about the conflict or how to affect its dynamics. Finally, we must remember that conflict resolution must come from those on the ground, and no solution will last if it is imposed by external actors. This offers another vein for future research.